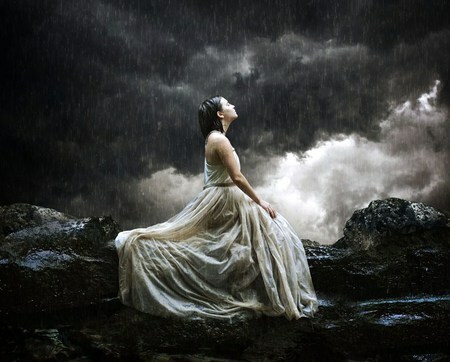 We are blessed to have had some rain last night and this morning here in Southern California and when I see rain I think of the lovely text and images I found at this blog that connects me to the notion that the rain represents the Anunakki Goddess Inanna/Ishtars tears. “The origins of the Goddess Ishtar lay in ancient Sumerian culture, in the Mesopotamian region of the Middle East. Sumer is now modern day Iraq. that She is a symbol of divine love, it has descended into chaos and darkness. “Inanna/ Ishtar is the consort or husband of Tammuz ( sum. : Dumuzi), river god of Euphrates and Tigris, who was meanwhile also her son and her brother. When the world began, Tammuz (faithful son) came together with Ishtar in the world. She bore him, she made love with him and she remained a virgin. When Tammuz died in the summer and all vegetation died with him, Ishtar was looking for him all over the world. She finally found him in the underworld and brought him back to life (see Celtic believe). Tammuz was reborn and the vegetation could flourish again. Then the ritual-festival of the “Holy Marriage” was celebrated at the time of the autumn equinox, when in the Near-East the first rain fell again. 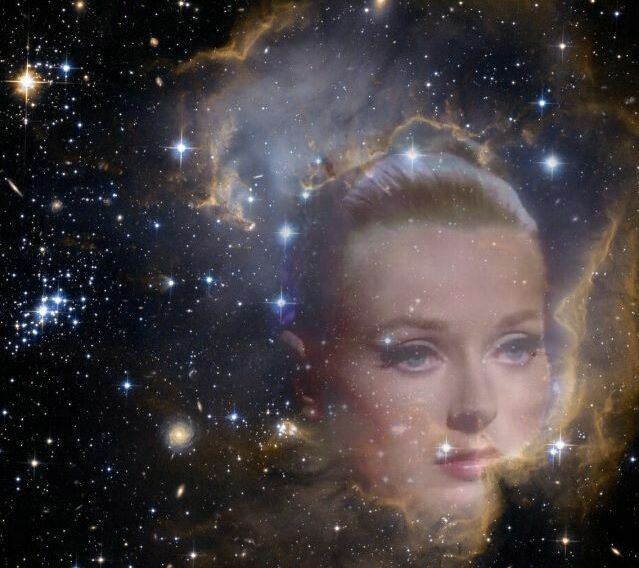 and therefore I believe we are all siSTARS and therefore Ancient Alien Goddesses under the skin worthy of an exalted status! It is only our belief systems that separate us and cause us to see ourselves as separate. The putting down of the Goddess and all women was part of the Anunakki patriarchal God Enlil and his son’s oppressive plan. In oneness we can create the world we want for ourselves and others to live in. A Semitic goddess of war called ‘the Shrieker’ she was absorbed into the concept of Ishtar, who was also known as goddess of battles. A planetary goddess (Venus) known in Egypt and among the Hebrews, later absorbed into Ishtar; part of a trinity with males. In early Mesopotamia she was known as Ishtar’s mother (with alternative names such as Antu, Antum); the ruler of both Earth and Heaven. Later in time she became absorbed and merged into the worship of her daughter. or Anunitu was the patron-goddess of the city of Akkad and associated with Venus as evening star; daughter/sister of the moon-god Sin. She became – in the course of time – absorbed into the great figure of Ishtar who also took over her role as ruler of the city. The goddess Ishtar as symbol of the promiscuous and independent woman – the ancient idea of the virgin – whose wanton behavior inspires both excitement and a tremendous anxiety in many of those who desire her. 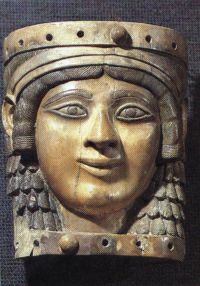 ‘Queen’; an old Babylonian title used for Ishtar at the cities of Lagash and Ninevah; it may refer back to a global form of Inanna from which Ishtar has developed. An ancient goddess of Shirpurla who became merged into Ishtar; the names meaning ‘Lady of the Womb’ and ‘Lady Life-Giver’. Also please note in ancient texts when the word virgin is used it really meant young unmarried woman and had nothing to do with an intact hymen. The importance of this bit of tissue was a far more recent invention to further alienate women who are born with pure love in their hearts..our gift from the Creatrix Goddess Mother Ninmah/Ninhursag with her partners, half brother Enki and his son Nigishzidda whose mother was Ereshkigal Goddess of the underworld who was a bloodline Anunakki Goddess.